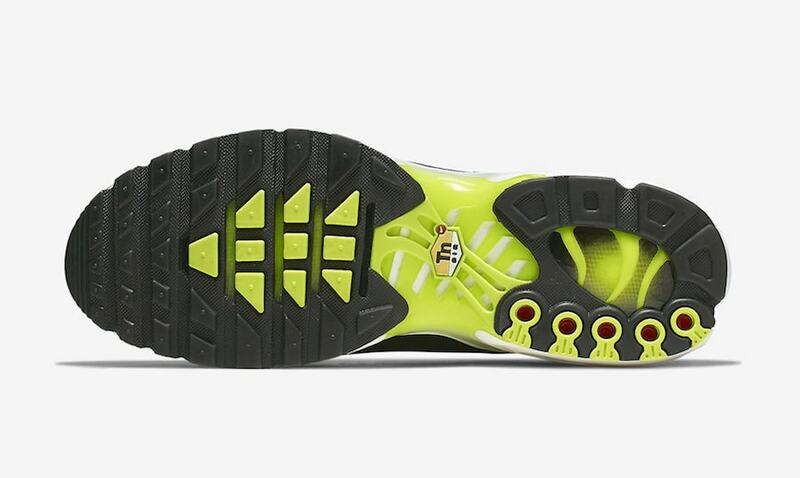 Nike seems to really like the spray paint design as this marks the third Nike Air Max Plus TN SE that it will be splashed on, this time in a vibrant volt and black colorway. Just recently official images of the Nike Air Max Plus TN SE in “Hyper Crimson” saw an orange spray paint design highlight a white upper. For this iteration, the aesthetic is the same but the colors that are used are on the other side of the spectrum. Volt has seen a lot of models as of late due to the trendy look it brings to the table. 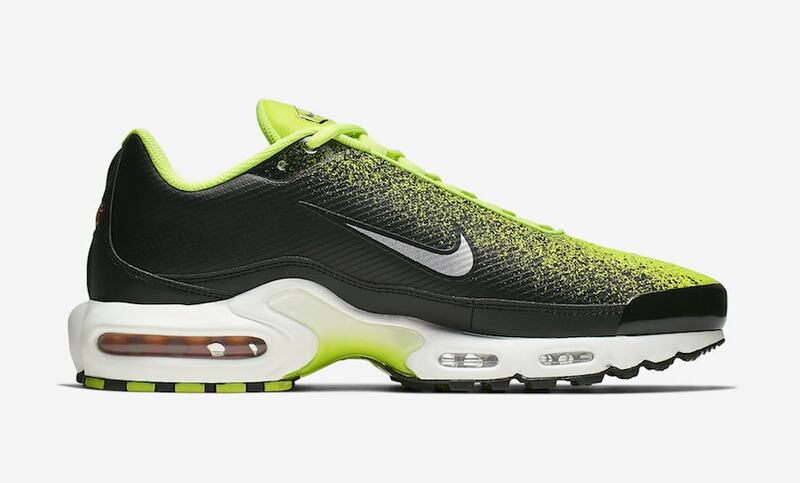 The shoes’ black upper is doused in volt as the neon spray paint design takes over the top portion. All of the inner lining, tongue, laces, toe box is entirely neon. The speckled paint then fades into the upper midfoot to mix in with the black bottom portion. 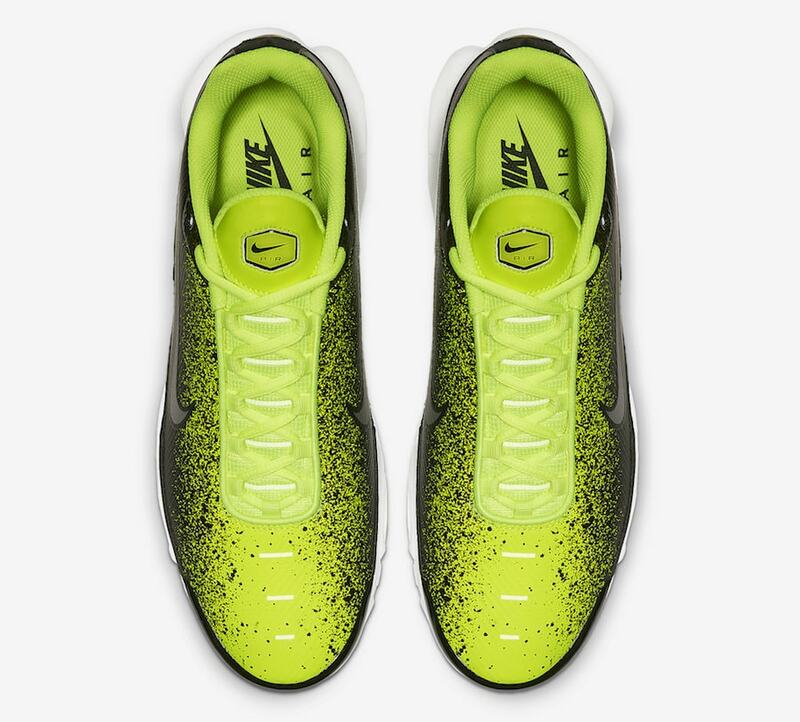 Branding is then placed precisely on the tongue in tonal volt and a silver Nike Swoosh takes on the sides. Finishing the look off, the runner sits on a white midsole and a black outsole that both contain neon accents. Although there has been no word of an official release date, you can expect the shoes to drop this spring at select retailers and Nike.com for a retail price of $160. Check out official images below and stay tuned to JustFreshKicks for updates and other Nike Air Max news. 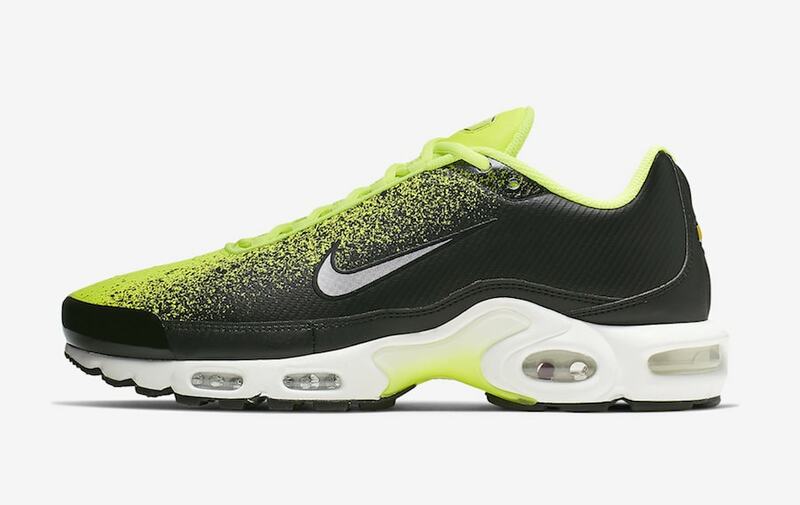 The post Spray Paint is Splashed on the Nike Air Max Plus TN SE in Volt and Black appeared first on JustFreshKicks.